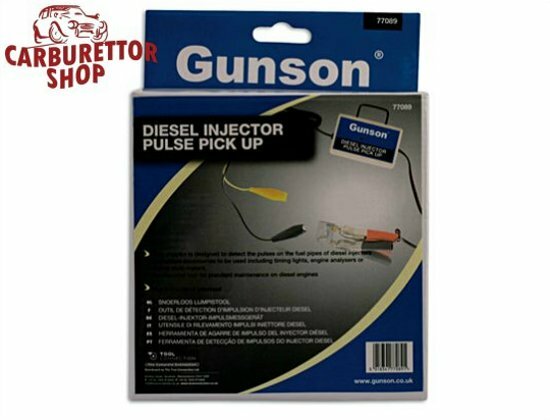 The Gunson Diesel Injector Pulse Pick-up detects the pulses on the fuel pipes of diesel injectors. This allows accessories to be used including timing lights, engine analysers or digital multimeters. Truly an essential tool for standard maintenance on diesel engines as this allows you to measure RPM as well as allowing you to accurate time injection pumps. Full instructions in English are provided but can also be downloaded HERE. 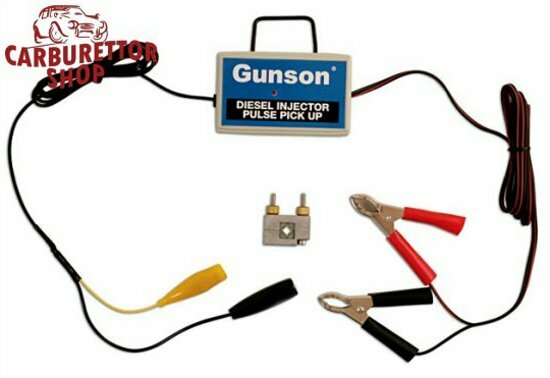 Perfectly suited to be combined with the Gunson Timing Light 77008.